Does Houska Castle House a Gateway to Hell? It’s true that there are no shortage of haunted houses and castles around the world but Houska Castle near Prague in the Czech Republic is said to house something a little more than just a few spooks – a gateway to hell. So how did this story come about and why do people believe that the entrance to the underworld is found through this 13th century castle? 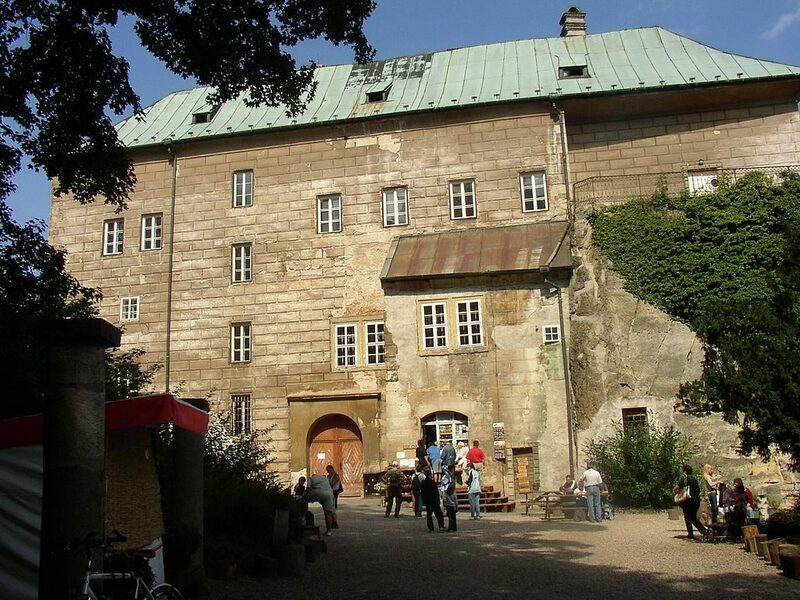 Houska Castle is one of the best-preserved castles in the region and is 29 miles north of Prague. It was built in the early part of the 13th century, believed to be on the order of Ottokar II of Bohemia. He reigned from 1253 to 1278 and ordered the castle to be made as an administration centre for his royal estates. It was built with a Gothic chapel, a knight’s drawing room and even a green chamber filled with Gothic style paintings. It later passed between various members of the Czech aristocracy and had a Renaissance style face lift in the late 1500s though it kept much of its original rugged style. It had a period of disrepair before being bought by Princess Hohenlohe in 1924 then by the President of Skoda, Josef Simonek in the First Republic times. It even spent time as a prisoner of war camp for the Nazis during World War II where it was believed that human experiments were carried out. The idea of a gateway to hell or the underworld isn’t a new idea and there are locations around the world that have similar associations. 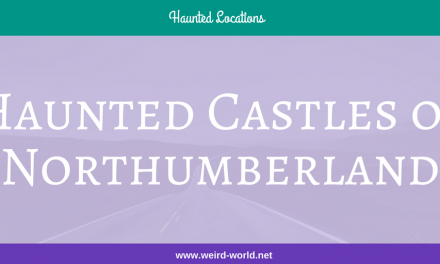 So how did Houska Castle come to have such stories associated with it? According to the stories, when the property was first constructed, it wasn’t as an estate management facilities but was instead to cover a deep hole in the ground that was a gateway to hell. There is a hole – it is beneath the chapel interestingly enough and there are modern pictures of it. No brimstone or devils in sight in the images I’ve seen. The legend says that the locals were terrified to leave their homes at night because black winged creates that were half human and half animal kept climbing out of the depth. Things got so bad that the creatures were marauding around the village during the day and people demanded something was done. So, all local prisoners who were awaiting execution were rounded up and thrown into the pit. Any who made it out were given their freedom but there weren’t many cases of this, for some reason! As an experiment, they lowered the first man down on a rope and pulled him back up minutes later – shocked to see than he had aged over 30 years in a few minutes and now had white hair. But the sacrifices didn’t stop the demons emerging so something else was needed. The castle was built with hopes of sealing up the gateway and stopping the creature for all time. It’s a good story and one that has been heard in different variations around the world. But is there any chance that Houska Castle is home to some kind of trans-dimensional portal or that there is something about the place that makes it stranger than other 750-year-old castles? 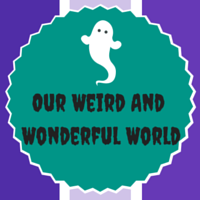 According to a report on Week in Weird, there are a few things that are a bit off beat about the place. For starters, it is a castle with no water source, no fortifications, no nearby trading routes and almost no occupants for much of its history. It seems people bought the place but didn’t actually live in it for some reason. It also has loads of windows, but for some reason most of them are fake and the glass panes have been built then walls built behind them. 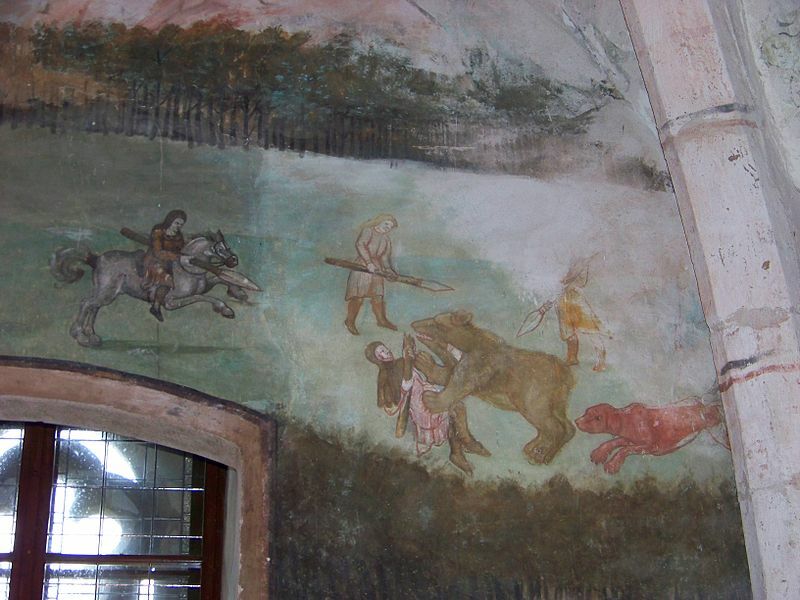 Another interesting fact is that the frescoes on the chapel walls are some of the oldest in Europe and show pictures of St Michael fighting a dragon and other traditional Christmas images. But there is also a strange left-handed half-horse creature firing a bow and arrow at a person – pagan symbols weren’t included in chapels back then but the left hand is associated with serving Satan and something this is what the image refers to. People who have spent time at the castle have also reported strange things. The sound of scratching at the floor of the chapel is rumoured to be one of the reasons that the Nazis chose the location – trying to harness the power of the gateway for their nefarious means. 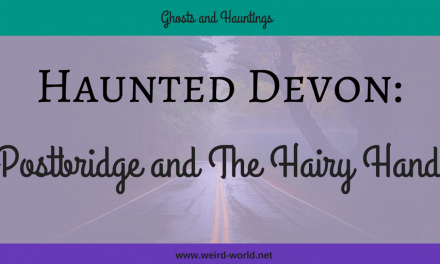 Others have reported hearing a chorus of screams from under the floor while some have seen a strange creature that looks like a cross between a person, a frog and a bulldog prowling around Houska Castle. There are also ‘common’ ghosts to be found around the location. Caretakers have told stories of a headless spirit that is seen in the courtyard, blood gushing from his neck. The current owner of the building, Jaromir Simonek, has even admitted watching a glass levitate from a table one night while entertaining guests. Another guest saw two featureless human shadow figures who approaches her while staying in the castle. She was frozen in fear as they told her about killing young girls, though there’s no mention if this was in the castle or not. The third floor has a beautiful woman in a white dress who peers out of the window. To complete the ghostly roster, there is a group of people chained together who walk through the castle, each with a terrible injury or carrying a dismembered body part. There is also even a black dog of gigantic size that appears around the castle. Dogs act very strangely when entering the premises so this might be relating to this. PreviousIs the Slender Man an Urban Legend or a Real Being? 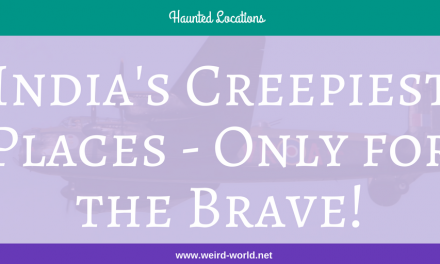 India’s Creepiest Places – Only for the Brave! What Kind of Ghosts Haunt Chinese Folklore?